As I predicted last year, infighting among Republicans did occur, resulting in a national embarrassment when the GOP imploded on itself at their statewide convention in Moscow; delegates essentially walked away with zilch accomplished and Congressman Labrador’s future as a national leader of his party in doubt over the tantrum he presided over as convention chairman. And while Democrats were smiling next week when they passed their own platform in solidarity in the very same town, they certainly didn’t get the last laugh. Every single statewide office was returned to GOP control including the contentious superintendent race between Sherri Ybarra and Jana Jones. While it’s true that the Republican divide took some time to patch up, the Fulcher camp eventually circled the wagons around Otter by not only electing Otter for an unprecedented third term, but largely leaving the incumbents intact. Those are substantially the same incumbents who voted for the rejected Students Come First Laws and adopted Common Core. During the legislative session a talking point about a good product but a bad process was repeated in true talking point style. It was a great, if particularly tone deaf, soundbite. That ideology showed as Common Core proceeded unchallenged and the Smarter Balanced Assessment Consortium was rebranded as the more palatable state friendly ISAT 2.0. However even those largely safe incumbents felt the heat as the State Board of Education unveiled a plan to tie teacher salaries and their very certification to students’ test scores and local evaluations. In the first ever event of its kind, republicans in Canyon County held a town hall on the sole issue as nearly unanimous opposition greeted the statewide listening tour by the SBOE on the topic. And while that opposition earned a respite to pat themselves on the back as tiered licensure was thrown into the rubbish basket, largely every provision of that proposal was simply rolled over into the still intact career ladder which the SBOE voted unanimously to press ahead with despite concern over the proposal mirroring the process of the now toxic Students Come First Package. Some concessions were gained. 35 million was returned to the state’s education coffers. 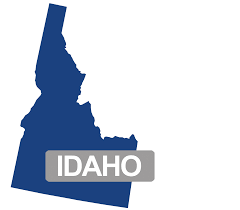 Furloughs decreased, for the first time in years teachers were allowed to move on the salary grid, and schools all over the State welcomed new broadband access provided through the Idaho Education Network. That was until the contract for the network also imploded through a contract tossed out in court despite pleas from the Joint Finance Committee to the Dept. Of Administration to broker a backdoor deal to avoid what largely appeared to be a forthcoming ruling against the contract due to a shadowy bidding process. The future of statewide broadband now remains in limbo as taxpayers now are potentially on the hook for not only the cost of the settlement, but a payout to the attorneys who brought the lawsuit. Speaking of technology problems, ISEE / Schoolnet, the state’s longitudinal data collection system, returned to the spotlight after it was revealed that despite 42 million dollars being pumped into the data monster, it uh…well…still doesn’t work after years of problems plaguing the system. The J.A. and Kathryn Albertson fueled a substantial amount of dough into the project and can be expected to provide pressure to resuscitate the monster back to the legislature’s attention. The Albertson Foundation also ponied up the cash to help Teach for America’s arrival here in Idaho by offering to pay districts the first year’s headhunter fee to districts interested in hiring recruits. This despite a report admonishing the state’s teacher preparation programs for a lack of rigor and preparation of novice teachers. It’s not like TFA recruits arrive with only 5 weeks of training and would seem to fit precisely what the report railed against…err…or not. Supt. Luna decided to step down and not run for reelection. Although his predecessor, Supt. Ybarra also shares His party’s affiliation, I am cautiously hopeful that Ybarra will outline a truly new path for our state. So what’s up for 2015? Expect the legislature to expect accountability measures in return for any raise to compensation. Expect these measures to be seen by many as onerous, retaliatory, and without scientific merit in research. Watch for the broadband contract to receive a bandaid solution while the case continues in court as to what the true consequences will be for the State in the now invalidated contract. The cost of that settlement might be substantial enough to pull the plug on internet in some Idaho schools. Anticipate Supt. Ybarra to set herself in contrast to her predecessor. While her camp has been mum on the details, I suspect SBAC could become a major issue for the upcoming term as the first tests available to the public and used in accountability measures is set to begin this spring. Expect charters to return to the table as expanded school choice is insisted upon inside the State. A bill for school vouchers might again be floated, and perhaps will pick up more steam with a newly emboldened legislature from a fresh election. I suspect the Governor will again seek substantial property tax decreases for business, and perhaps a mild decrease in the state’s income tax. However, also expect such a plan to be challenged when the proposed career ladder carries such a high price tag with it. Educators may also want to pay attention to the PERSI retirement system. Despite the fact that the fund has been soundly managed and stands proudly intact over state’s scrambling to salvage their pension system, there have been calls to eliminate the pension system altogether. Such a wildcard might be the trade-off on higher teacher salaries on one hand and diminished retirement on the other. So where does the State stand as the 2015 legislative session begins? My crystal ball sees a pitcher pouring into a half empty glass, though what it is being filled with is far from clear.